The Roku Netflix Player lets you watch over 10,000 movies and TV shows instantly. The paperback-sized set-top box plugs into your home entertainment system and streams movies from the Internet directly to your television set. At a cost of $99.99, the Netflix Player is an expensive piece of hardware, especially since it only works if you have a Netflix subscription. 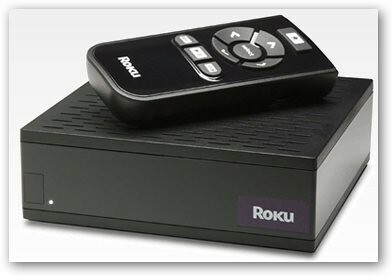 It works like a DVR so you can pause and rewind movies at your leisure. To use the device, you'll need an unlimited Netflix subscription, which starts at $8.99 a month. On the plus side, the "instant movie" service doesn't cost any extra. You can still get DVDs by mail. The device works with regular and HD TVs and comes with RCA, S-Video, HDMI, component video, and optical audio jacks and ports. The Netflix Player can even work with a wireless Internet connection. $100 is expensive? I was thinking the opposite. Seems pretty dirt cheap to me compared to every video player out there. Especially Apple TV and Vudu.